NEW Year’s Eve is almost upon us! Aside from freaking out about where the year has gone, I’m starting to plan my outfit for the big night. I’m a huge fan of sequins, glitter any anything else that shines but it can be daunting to put these into an outfit without looking like a walking disco ball, especially for more casual events. Here are three easy ways to throw in a bit of shine into your look, to get 2015 off to a great start! We’re set for a warm NYE! I’ll be by the pool. 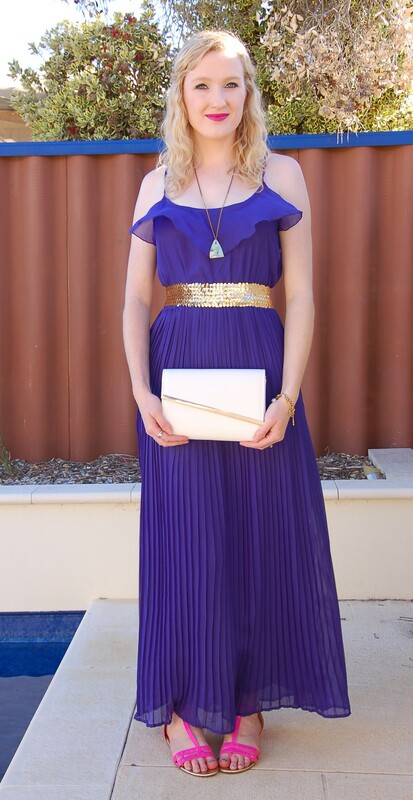 I paired this gold belt with a floaty maxi dress and sandals for a low-key bit of sparkle. NYE is usually hot even after the sun goes down in Australia so this would be great for a barbecue or a few relaxed drinks with friends. It’s not too over-the-top but is still fun. This outfit is perfect for a more casual shindig. Gold accessories bring the whole thing together. 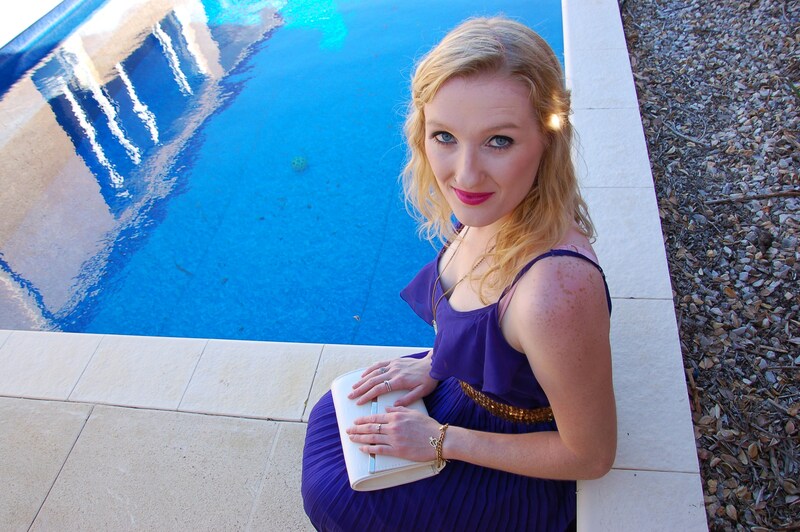 This gold sequinned top is definitely in my top ten favourite items in my wardrobe. You’re not going to be missed in this thing! This shirt has a black faux-leather (pleather) back and sleeves so it’s not full-on sequins the whole way around. 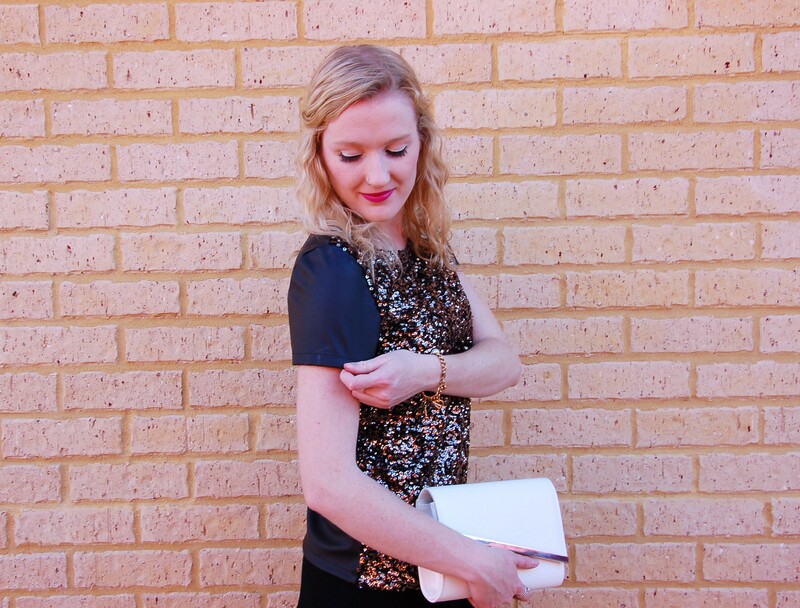 I paired it with a plain black skirt and minimal accessories – this top does all the talking. The faux-leather backing makes this shirt a bit warm, though. 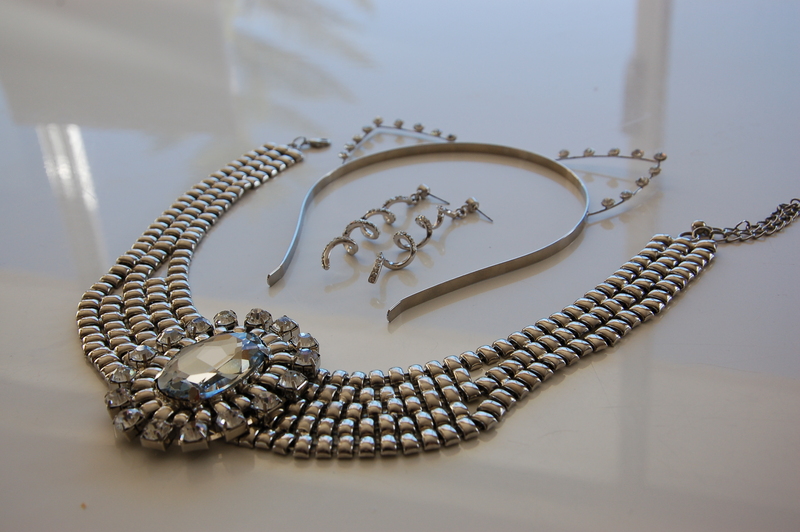 If you’re searching for something minimal to add to your outfit, simple, shiny accessories are always a good option. 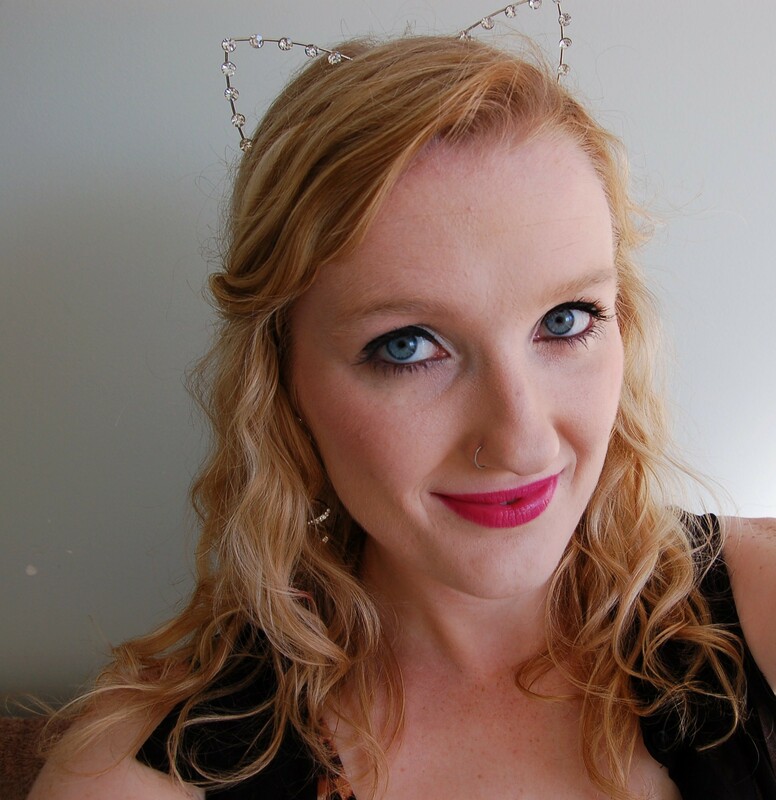 This cat ear headband is a bit silly and fun but definitely cute! Make-up wise I’m going to be keeping things pretty simple – just pink lips and liquid eyeliner. For this look I used MAC’s Magenta lip liner and Max Factor’s Flipstick Colour Effect in Boreal Mauve 15. Let’s take another look at the accessories I used for these outfits. The big silver necklace from my dolphin skirt OOTD post would also be a winner, especially if paired with a little black dress. 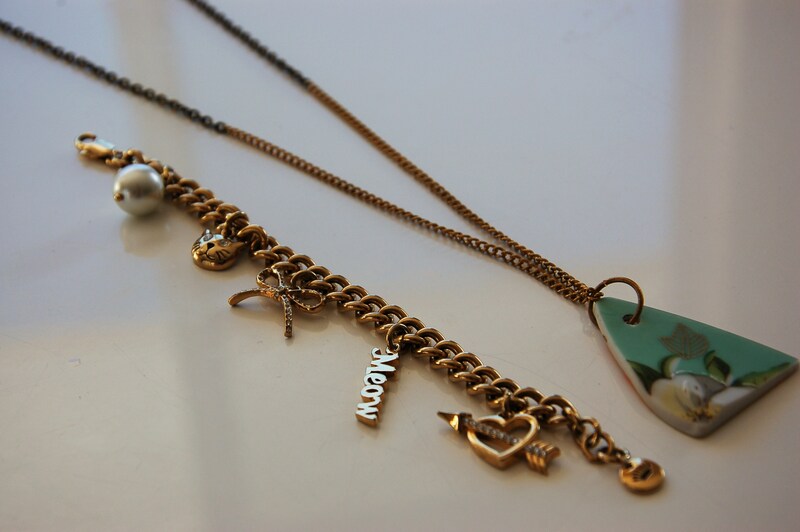 You can pick up a Juicy Couture charm bracelet just like mine here. So many shiny things in one image. This bracelet just gets me. What are you wearing on New Year’s Eve? Let me know in the comments! Great tips. 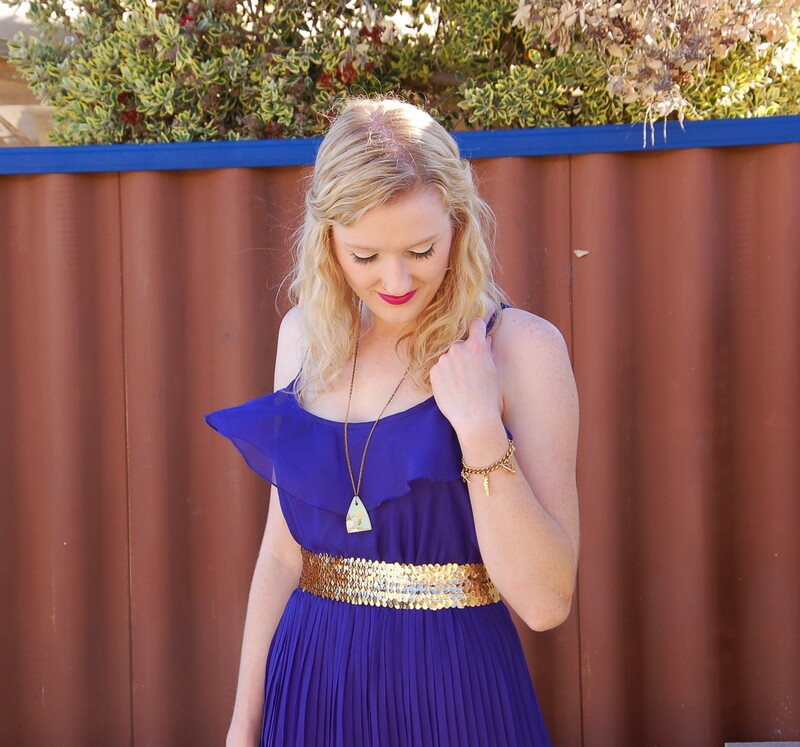 Love the blue dress!